Another day of action-packed football comes to a close. There were some dominating performances on display as Mumbai, Kolkata and Ahmedabad saw high scoring matches. To know more about today's clashes, check Football Results . 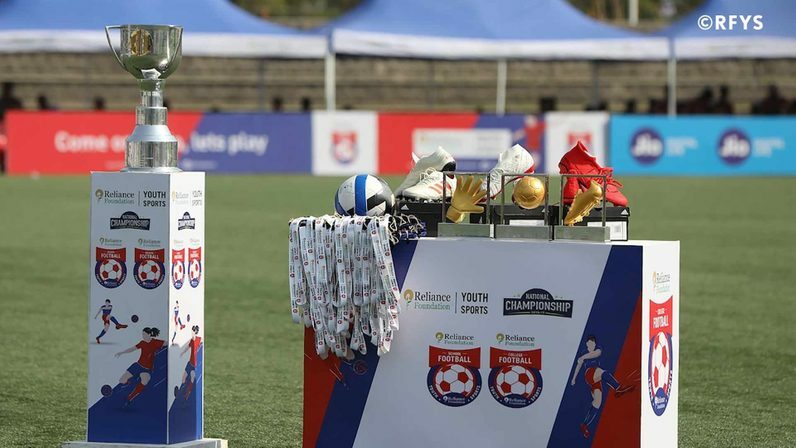 RFYS 2017-18 Kolkata City Champions, Netaji Nagar Day College, opened their campaign with a 10-1 win over Kishore Bharati Bhagini Nivedita College. Midfielder Rajesh Kumar Panda scored 6 goals in their win. Last year's city champions of Kolkata, Netaji Nagar College are all set to defend their title. The College Boys begin their RFYS campaign shortly against Kishore Bharati Bhagini Nivedita College. It's an afternoon start in Mumbai as Ramsheth Thakur Public School and St. Joseph battle it out in RCP, Ghansoli. In New Delhi, Trinity Institute registers a 3-1 victory over Deshbandhu College in the College Boys category. In Ahmedabad, The Maharaja Sayaji Rao University of Baroda go on to win the match 7-0 against Lukhdirji Engineering College. On the east coast, Vivekananda College registered a 7-0 win over Acharyya Prafulla Chandra Ray Polytechnic college in Kolkata. Head over to Match Centre to know how the match unfolded. Another one-sided affair is underway in Ahmedabad as The Maharaja Sayaji Rao University of Baroda are leading 6-0 at half-time against Lukhdirji Engineering College. Meanwhile, in Shillong, Nongrekm HSS win 1-0 against Holy Child Higher Secondary School in the School Girls category. 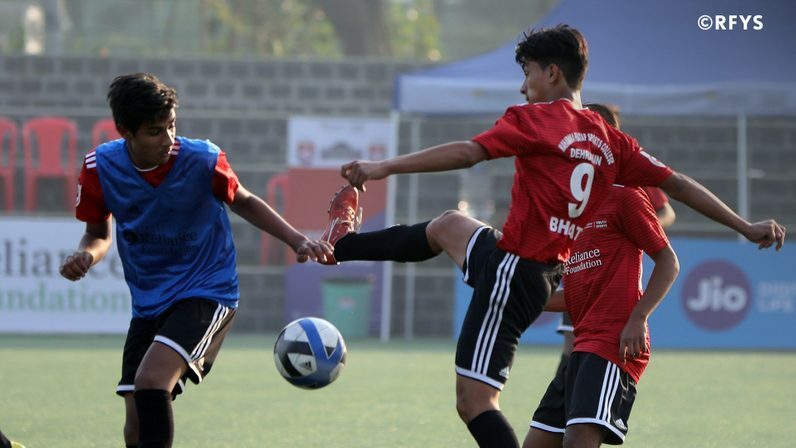 In Ahmedabad, Vishwakarma Government Engineering College won 5-2 against RC Technical in the College Boys category as striker Zaman Rezaie found the back of the net 4 times. Stay tuned for more exciting updates of the day. Noida's Amity University scored 7 goals against New Delhi Institute of Management with 3 players hitting 2 goals apiece. Visit Football Schedule to check the other fixtures of the day. The first game of the day finished 2-1 at full-time, with Amrut Mody School of Management getting the better of LJ Imba in Ahmedabad’s College Boys category. Stay tuned for more as teams in Shillong, Delhi, Kolkata and Mumbai are ready to get on the field. Another day of football kicks off at RFYS 2018-19. Seeing the matches played so far, one can expect an all-round display of quality football from the fixtures. To know more about how the new cities – Delhi, Pune, Jamshedpur and Kolkata – fared in their opening day, check RFYS Day 8 Report.